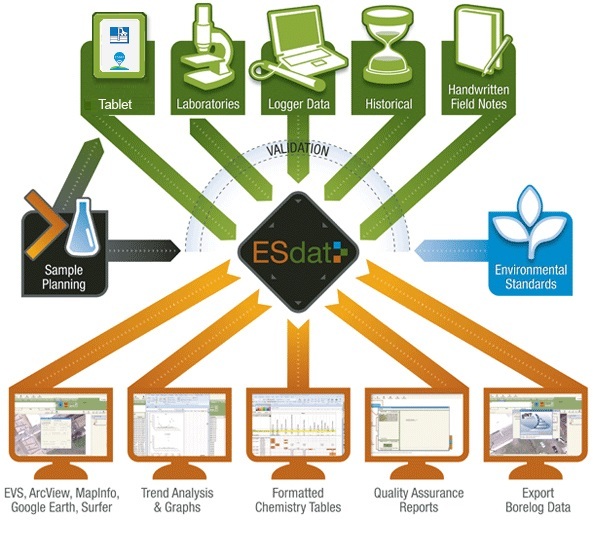 ESdat is an efficient importing and data validation tool for a range of data sources and data collection systems which allows the user to store, access and interrogate these data via a central environmental database whilst cutting data management time by up to 50%. “It's simple, efficient and easy to learn." "The cost of this is peanuts spread across the offices."